From time to time folks will stop me and tell me that I look like someone. They'll throw out the name of a person who's in the public spotlight. More often than not, they'll usually just tell me that I resemble a cousin, the brother of a close friend, an ex classmate, their barber or maybe some guy met one day in the past. I sat down and came up with the names that I tend to hear the most. By most I mean at least 10 times in my life. Now of course, I don't think that I look like any of these men. However I suppose that if such a high number of people have mentioned the same names, I'd have some fun. I'm going to take a moment to seek the opinion of those who read this blog as to who they think I most resemble. For starters, I've included a pic collage of myself in a variety of different shots. Then I've listed the people that I'm most compared to along with their pics. All of the pics below are small versions and can be enlarged with the just the click of the mouse. The four men listed below are the ones which I'm compared to the most. Now the men shown below are the ones that one or two people mentioned and compared me to. All of these really made me scratch my head. I figured that I'd include them just to show just how blind some folks can be. I don't look remotely close to any of these cats. 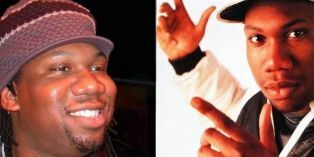 In fact, I felt insulted when someone told me that I looked like KRS-ONE. My nose might be a lil' bit big, but not drive a tractor trailer through big!!! oh yeah... why not add add a lot more humor to this whole post??? I found an old pic that I took back when I was rockin' an S-Curl back in the late 80's and put it next to an old pic of Doug E. Fresh from the mid 80's when he was with the Get Fresh Crew. Directly underneath those pics that is an actual photo (although blurry) that I took with Doug at a Def Jam party back in NYC in '96. Even that night a lot of folks were asking me (and him) if we were related..... lol. What celebrity or well known person do folks compare you to or always tend to say that you look like? Not everyone you're compared to makes you smile. Some folks mentioned might make you want to cuss someone out the minute the say you look like that individual. Go ahead and give the good ones and the bad ones alike. That i know of, i don't think i've been told i resemble any celeb or other famous person. 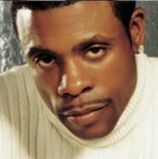 As for you, yeah, you do/did kinda strike a resemblence to Doug E. Fresh and Duane Martin. The coach too. Now i've been told i favor Reggae star Lady Saw(insult) Chili from TLC, Pocahantas, or some other mixed SPanish girls in Mass named Maria. 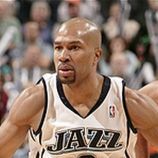 I think that you do resemble some of them a little, but moreso Byron Scott if he were a little younger, had more hair, etc. 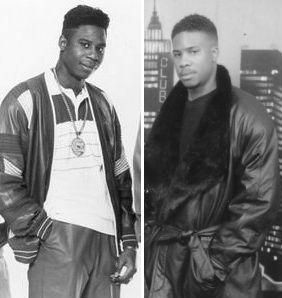 I can see the back in the day resemblence to Doug E. Fresh. Love it! Can you beat box? OMFG!!!! You killed me with the back in the S-Curl picture!!!! Haaaaa! This is toooo funny. They tried you with the KRS-1 comparison. I can see a little Bryan Scott and Doug E Fresh. Numerous people say I look like Halle Berry or Toni Braxton. I'm flattered by the Halle comparisions but I don't see it. I think you look most like Doug E Fresh. Well, you guys look like you could be related. People have told me I resemble Nia Long with my smile, my eyes and the way I talk. Honestly, I don't see it. But its a nice compliment because I think she's beautiful. I think we all have twins somewhere. From the pics you seem to look like you (not that I ever saw you nothing, LOL). Altho when you did the flash back Doug E pic and you side by side yall could pass for brothers. As for look alikes folks have always called me Tina, as in Tina Turner. I think folks just said that cuz I have legs that go from here to infinity and not cuz I actually look like her. I'd say in a few years you can call Byron Scott, "cuz"...definitely a resemblance! Got a lil Derek in you...ummm wonder if y'all from the same part of the Mother Land. OMG.. I'm so dying!!! cause you do resemble them.. but more so byron scott and doug e fresh!!!! LOL that is hilarious.. I think particular photos in your collage resemble certain photos of the different top set of individuals. I wouldn't say you looked like any of the other people, though (if that makes sense). Hmmm.. seems like most of y'all are seeing the resemblance to Doug E. Fresh than most of the others. I suppose that they throwback S-Curl pic kinda iced that one huh? Okay, I can live with that.